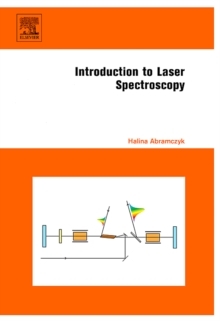 Introduction to Laser Spectroscopy is a well-written, easy-to-read guide to understanding the fundamentals of lasers, experimental methods of modern laser spectroscopy and applications. It provides a solid grounding in the fundamentals of many aspects of laser physics, nonlinear optics, and molecular spectroscopy. In addition, by comprehensively combining theory and experimental techniques it explicates a variety of issues that are essential to understanding broad areas of physical, chemical and biological science. Topics include key laser types - gas, solid state, and semiconductor - as well as the rapidly evolving field of ultrashort laser phenomena for femtochemistry applications. The examples used are well researched and clearly presented. Introduction to Laser Spectroscopy is strongly recommended to newcomers as well as researchers in physics, engineering, chemistry and biology.